When we burn Mystical Series of incense sticks in front of god and pray, we feel protected and safe. The best part about incense sticks is that you can easily find the aroma that suits your needs. Among all the incense sticks, protection incense sticks is the best. 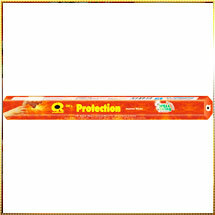 Rather this kind of incense sticks is the most popular form of incense sticks available. It burns easily, has different scents in it and it has the most lasting feature as well. A lot of time this incense is kept apart for religious ceremonies.